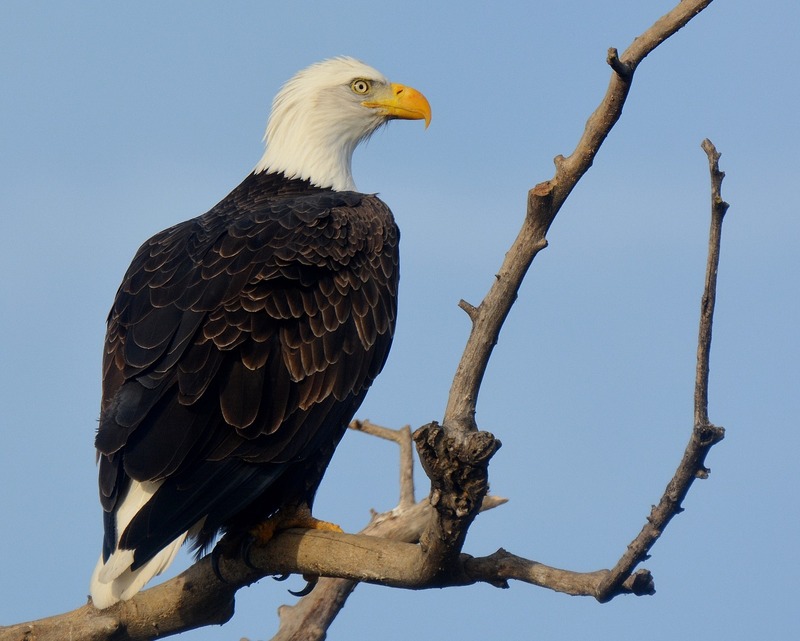 During the winter months, Kathy and I can count on seeing magnificent bald eagles at the Sacramento National Wildlife Refuge Complex. This mature female was about to swoop down on a flock of unsuspecting coots. Photo by author. Late in November 1959, I was an eleven-year-old boy riding in the back seat of our family car as my father drove us north of Sacramento for the first time. I remember looking out the window and marveling at flocks of flying waterfowl and a vast landscape of wetlands, rice fields, grain fields, and open space -- all the way to what was to be our new home in the tiny farming community of Orland. Today, as I drive north from Sacramento, I see miles and miles of orchards where not so much as a blade of grass is allowed to grow. What about wildlife? I often ask myself. Where are they to live and thrive in this era of unending development, commodities, and modern agricultural practices? Long before most of us were born, farsighted decision-makers came up with a great idea. It wouldn’t completely solve the problem -- far from it -- but at least it would save remnants of what used to be for current and future generations to cherish and enjoy. It all began in 1903, when President Theodore Roosevelt established Florida’s Pelican Island as America’s first national wildlife refuge. He would go on to establish fifty-two other refuges in seventeen states. Today, there are over 530 units in the national wildlife refuge system, encompassing over 93 million acres of saved or created wildlands. Lower Klamath, on the border between California and Oregon, was established by President Theodore Roosevelt in 1908. It was the first national wildlife refuge created for the primary purpose of providing habitat and a safe haven for wintering waterfowl. With ninety-five percent of California’s original wetlands drained, converted to agriculture, or covered with asphalt and cement, it became the task of many of our state’s national wildlife refuges to create wetland habitat and preserve what little original wetland habitat remained. In doing so, the refuges not only provided critical wintering habitat for waterfowl, they also provided seasonal and/or permanent habitat for countless other birds, mammals, reptiles, amphibians, beneficial insects, and fish. It’s important to note that because of the habitat provided within the refuge system, crop damage has been reduced on private agricultural lands. The Sacramento National Wildlife Refuge was established in 1937. 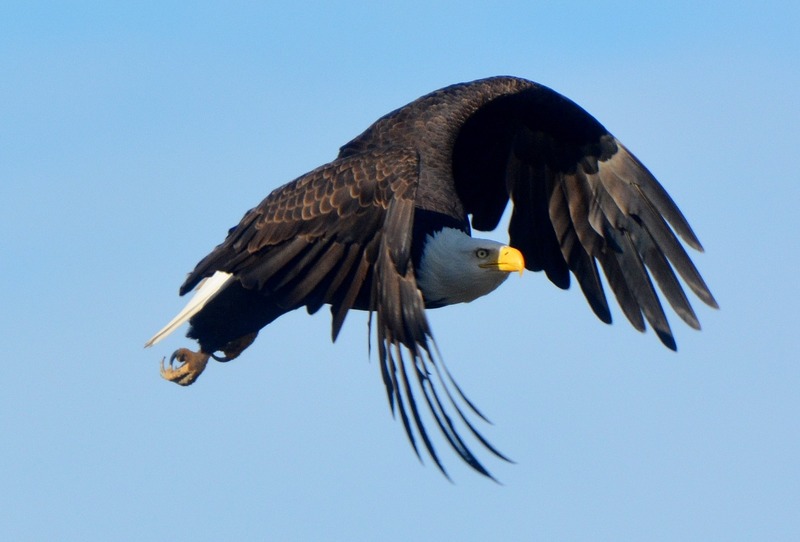 Over the next five-and-a-half decades, four more national wildlife refuges and three wildlife management areas were added, leading to the eventual creation of the Sacramento National Wildlife Refuge Complex. The Sacramento National Wildlife Refuge Complex consists of the Sacramento National Wildlife Refuge, Colusa National Wildlife Refuge (established in 1945), Sutter National Wildlife Refuge (established in 1945), Delevan National Wildlife Refuge (established in 1962), Sacramento River National Wildlife Refuge (established in 1989), Butte Sink Wildlife Management Area (established in 1980), Llano Seco Unit of the North Central Valley Wildlife Management Area (established in 1991), and Willow Creek-Lurline Wildlife Management Area (established in 1985). The Butte Sink and Willow Creek-Lurline Wildlife Management areas are not open to the public. In addition to providing endless opportunities for bird-watching, photography, nature hikes, and environmental education, the Sacramento, Delevan, Colusa, and Sutter refuges manage sections for waterfowl and pheasant hunting during designated seasons. Upland game, big game, and waterfowl hunting are allowed in designated areas of the Sacramento River National Wildlife Refuge during the appropriate seasons. Kathy and I have visited the original 10,783-acre Sacramento National Wildlife Refuge many times over the last thirty years. Each time we drive the auto-tour route or hike one of the public trails, we discover something new and exciting. This island of grass, flooded marshlands, and thickets of willows and cottonwoods provides a glimpse of the Sacramento Valley as it might have looked centuries ago. The grizzly bears, pronghorns, and tule elk are gone, but where else can you count on seeing thousands of ducks and geese, throngs of shorebirds, and a dozen or more raptor species -- including great horned owls, bald eagles, and peregrine falcons? Another of our favorite places to visit is Llano Seco -- over 1700 acres of grass and flooded marshlands, ten miles southwest of Chico. Kathy and I have found Llano Seco’s viewing platform and the viewing platform at Colusa National Wildlife Refuge to be two of the best sites to photograph waterfowl and other wildlife, up-close and personal. It was at Llano Seco where I first photographed a pair of seldom-seen Eurasian wigeons, as well as the reclusive loggerhead shrike. Llano Seco is also a wonderful locale for a relaxing, mind-clearing nature hike. Those of us who lament California’s continued loss of precious wildlife habitat can take some solace in the fact that bits and pieces of our once-abundant wildlands, wetlands, and open space still remain within the professionally managed confines of our national wildlife refuge system. Steven T. Callan is an award-winning writer and the author of "The Game Warden's Son," named the "2016 Outdoor Book of the Year" by the Outdoor Writers Association of California. Steve's first book, "Badges, Bears, and Eagles," was a 2013 "Book of the Year" award finalist (ForeWord Reviews). He is the recipient of the 2014, 2015, and 2016 "Best Outdoor Magazine Column" awards from the Outdoor Writers Association of California. Steve’s sequel, "The Game Warden's Son," is now available through online retailers and bookstores everywhere. Steve can be found online at steventcallan.com. 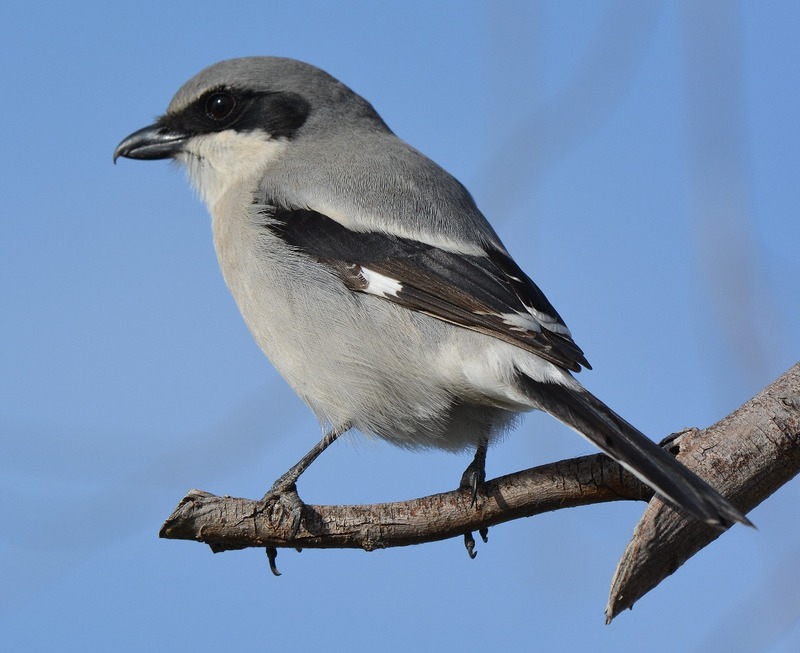 I’ve seen very few loggerhead shrikes over the years. Those I have seen were too far away and too wary for me to come close enough for a photograph. While at Llano Seco a few months ago, I spotted this one perched on a tree branch, ten feet away. Known for impaling prey (usually grasshoppers or mice) on tree thorns and barbed-wire fences, this predator is one of nature’s most clever and fascinating songbirds. Photo by author. Perched bald eagles, like this one, are commonly seen within the Sacramento National Wildlife Refuge Complex, particularly during the winter months when there’s plenty of prey available. Other commonly seen raptors are red-tailed hawks, kestrels, red-shouldered hawks, and great horned owls. Photo by author. 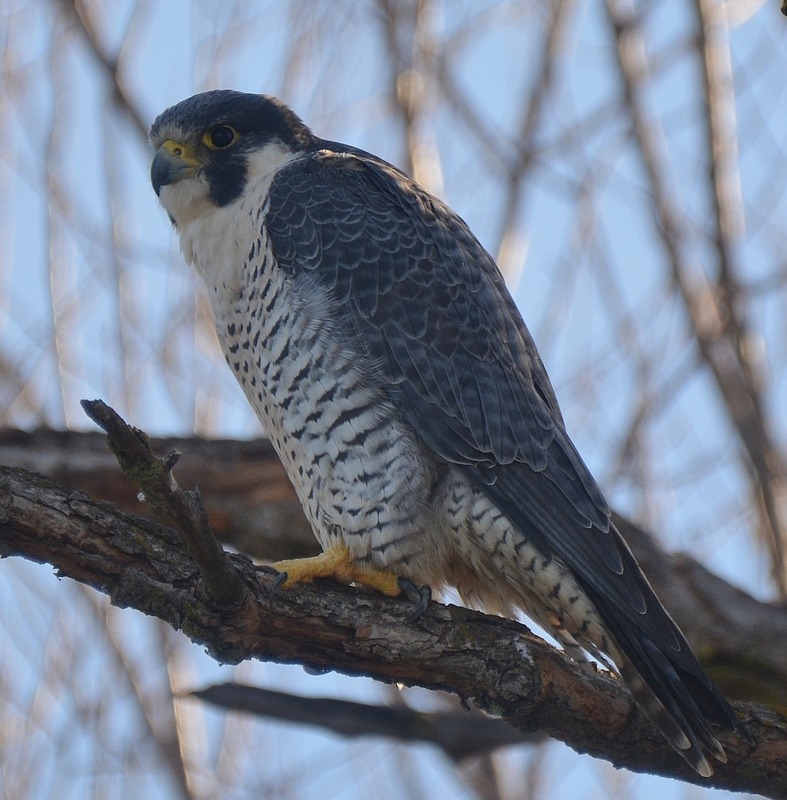 Seeing and photographing a peregrine falcon is the highlight of any visit to the Sacramento National Wildlife Refuge. This gorgeous raptor posed for Kathy and me early one morning last month. Photo by author. I’ve admired waterfowl since I was a boy growing up in the Sacramento Valley. 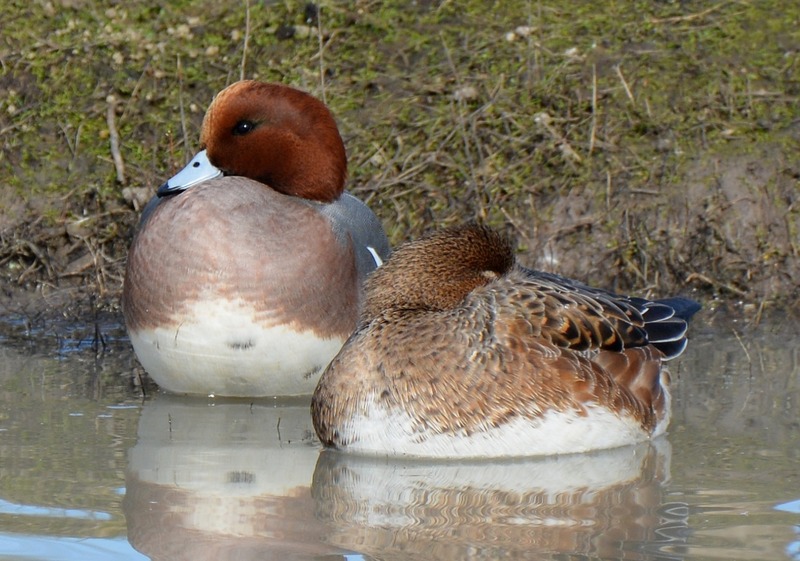 Not until this January was I fortunate enough to photograph a pair of Eurasian wigeons. These beauties were sunning themselves forty yards from the viewing platform at Llano Seco. Photo by author. 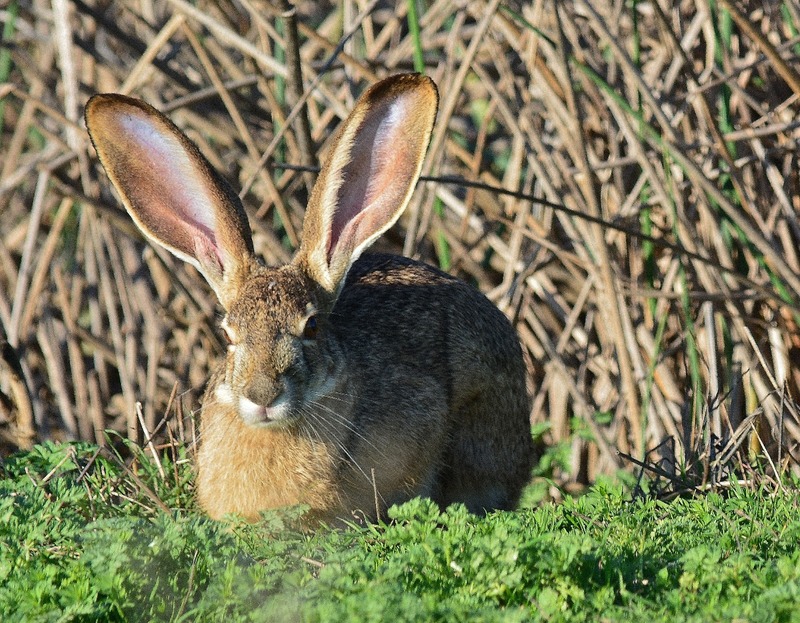 Sightings of thirty-five mammal species have been recorded inside the Sacramento National Wildlife Complex. Jackrabbits are commonly seen throughout the day. Cottontails scamper back and forth across the auto-tour roads before daylight. Black bear and mountain lion sightings are rare, but these larger mammals have been seen at the Sacramento River National Wildlife Refuge. Photo by author. 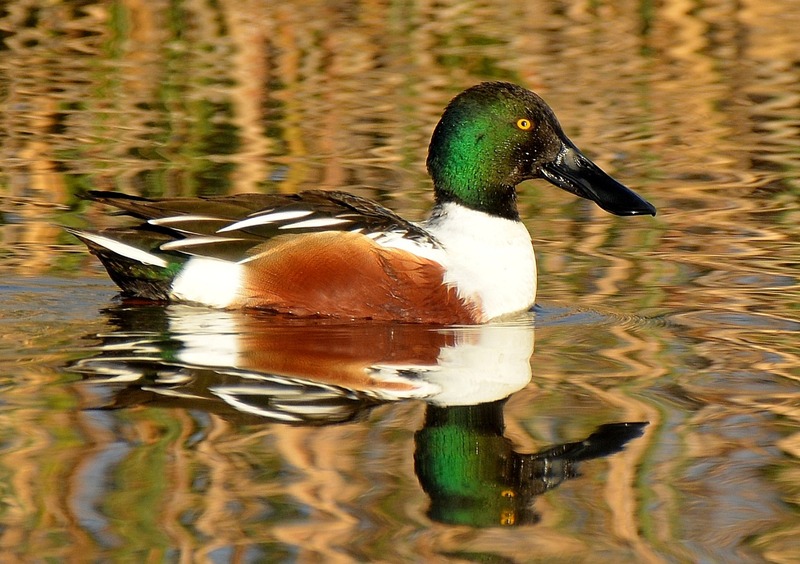 Birds like this drake northern shoveler show off their brilliant colors in the early morning light. Photo by author. The best time to take photographs at the Sacramento National Wildlife Refuge is within an hour or two of sunup. 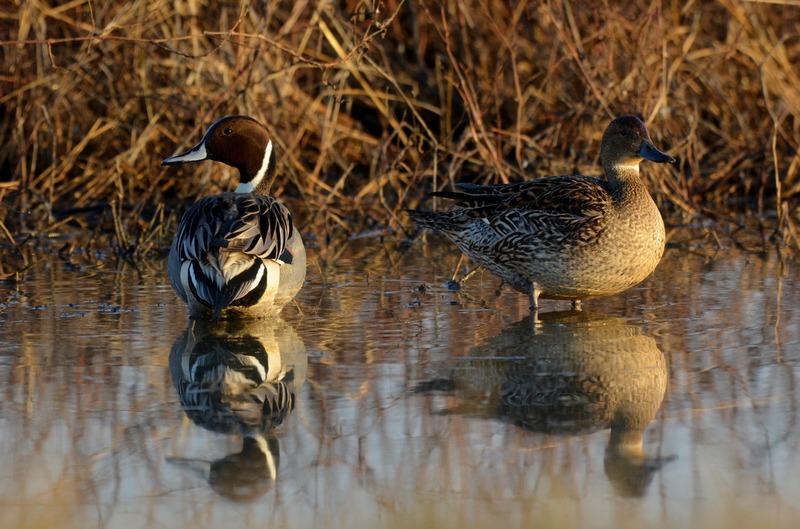 The lighting is just right, and wildlife, like this pair of pintails, always look their best. Photo by author. 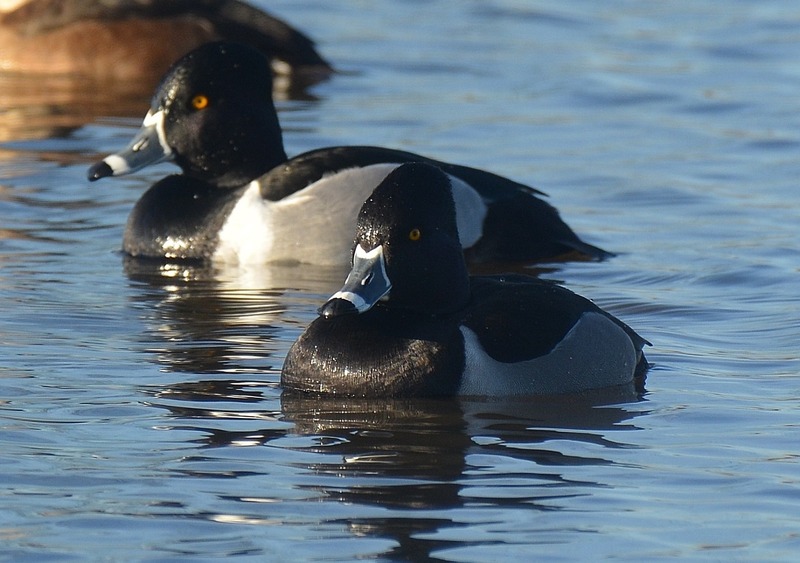 Based on our experience, ring-necked ducks and ruddy ducks are the most common diving ducks found on the Sacramento National Wildlife Refuge Complex. Photo by author. I’m frequently asked, during my book presentations, what happened to the pheasants, once plentiful in the northern Sacramento Valley. My answer is always the same: diminishing habitat. 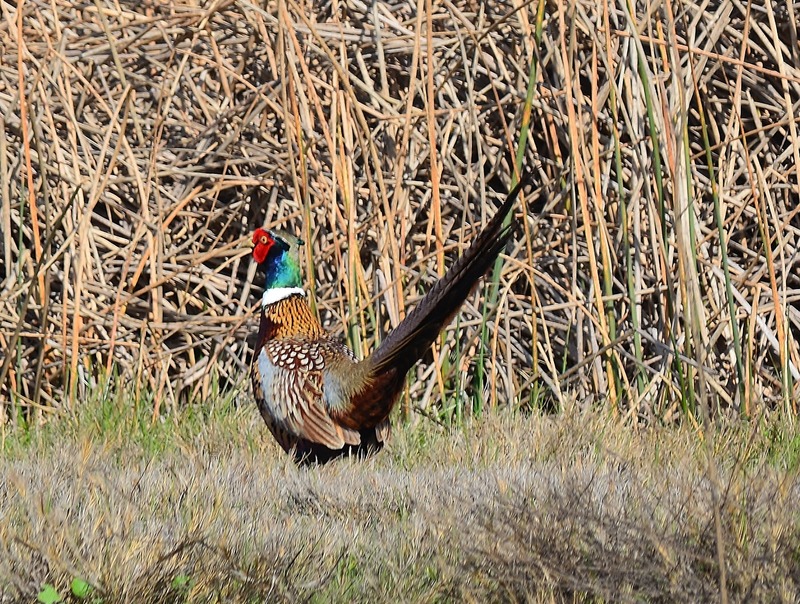 One of the few places where pheasants still thrive is within the confines of the Sacramento National Wildlife Refuge Complex. Photo by author. 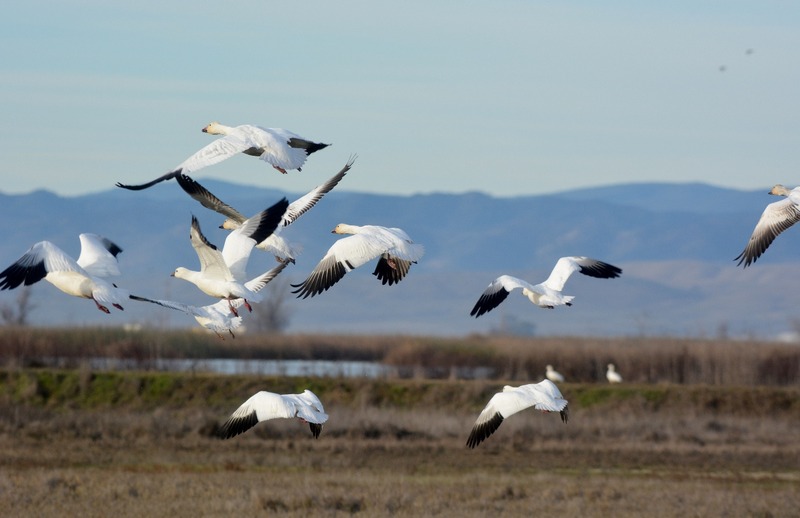 Because of habitat provided within the refuge system, crop damage caused by snow geese has been reduced on private agricultural lands. Photo by author. MyOutdoorBuddy.com © 2019. All Rights Reserved.